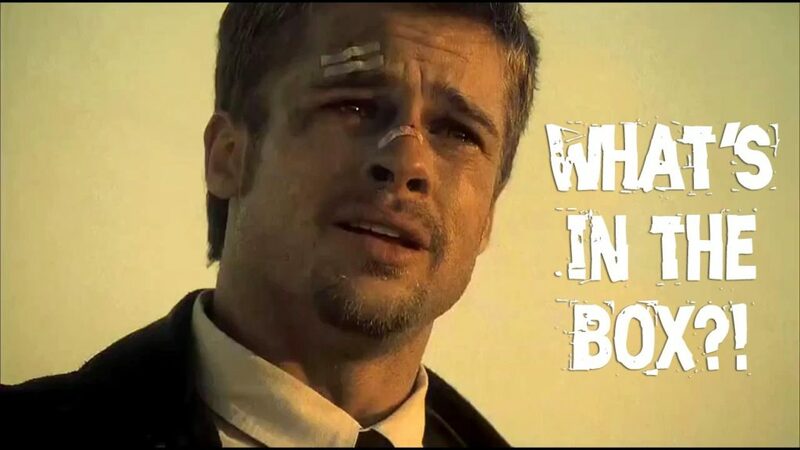 Brad Pitt just wants to know what the Mystery Games are for UPickVG 5! Last year during UPickVG IV, we introduced a really fun game mechanic to our game-a-thon: Mystery Games. We had no idea how well it would go over. Would people hate it? After all, the name of our fundraiser is “U-Pick…” as in, YOU pick the games we play on air. What fun is picking if you, well, don’t know what you’re picking? LOTS. The answer is “Lots of fun. Loads. Tons. AMAZEBALLS of fun.” (Whatever an amazeball of fun is, anyway.) You guys loved them, we the players and volunteers loved them – it was like opening a fun surprise every time a Mystery Game came up. Like a mini surprise birthday party every time, complete with presents to unwrap! 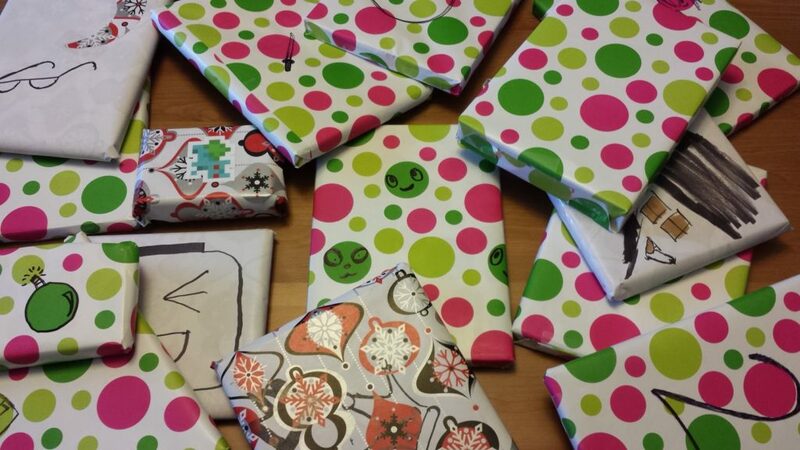 Some of the UPickVG 5 Mystery Games, all wrapped up. Aren’t they beautiful? If the Mystery Game has enough points to end up in the Top 5 games on the Rankings, it goes onto the Wheel of Destiny. We spin the Wheel of Destiny once an hour, for 48 hours. The Player will unwrap their selected Mystery Game, and then play it for the next hour, no matter what it is! *Gamesmuns Chip and Grant selected the Mystery Games, and they both have Player shifts. That’s okay – they will not be allowed to pick their own Mystery Games. Another volunteer who doesn’t know the games will pick for them. You can probably see from the picture above that some of the Mystery Games have some hints as to what game is inside. You can also probably see that those hints are insane and not actually helpful at all. Does that one on the far right just have a “2” on it? WHAT DOES THAT EVEN MEAN, GRANT? So go ahead and donate now for the Mystery Game, and tune in to UPickVG 5 starting Friday June 3rd at 7pm ET to see the Mystery Games unwrapped and played!